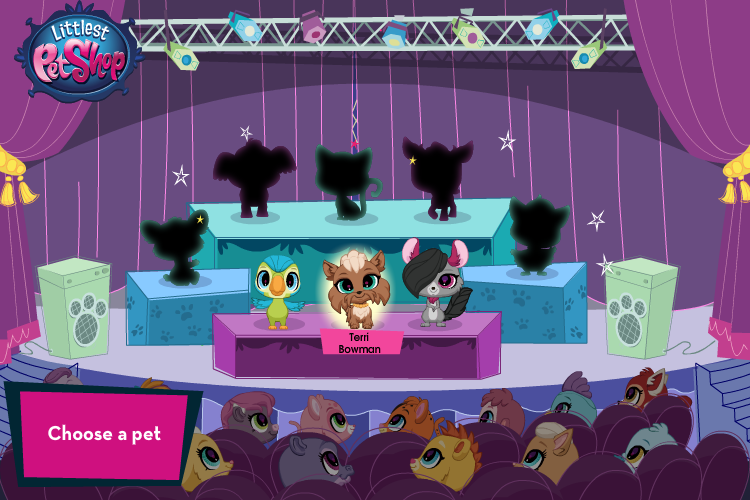 littlest Pet Shop Talent Show is a game with 8 mini games. Players can choose 3 pets to compete. Each pet has their own game as talent. After a round of 3 games, the pet who has highest score will be the winner. All of the artworks were created in Flash.